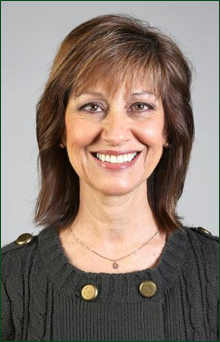 Baylor>Robbins College of Health and Human Sciences>Faculty & Staff>Faculty Directory>Edwina Nelson, M.A. Ms. Nelson is a full-time lecturer in the Baylor University Language and Literacy Clinic. Ms. Nelson teaches and supervises undergraduate students working as reading assistants. Ms. Nelson serves children and adults with language and reading impairments and acts as Reading Specialist Coordinator for all Reading Specialists in the Language and Literacy Clinic. She also teaches and supervises for Camp Success during the Summer I session each year. Ms. Nelson joined the Baylor faculty in 2005 after a career of teaching in public schools throughout the state of Texas. Ms. Nelson is passionate about the area of language and literacy. She considers it a tremendous blessing to have a part in helping individuals reach his or her optimal potential in the areas of reading and writing. Ms. Nelson has been blessed with three wonderful children: two sons and a daughter. She enjoys serving in the Special Needs Ministry and on other committees at First Baptist Church Woodway. She is also an enthusiastic supporter of Baylor athletics. CSD 4V86 - Health Science Leadership: Community Engagement and Service-Learning in Communication Sciences and Disorders.